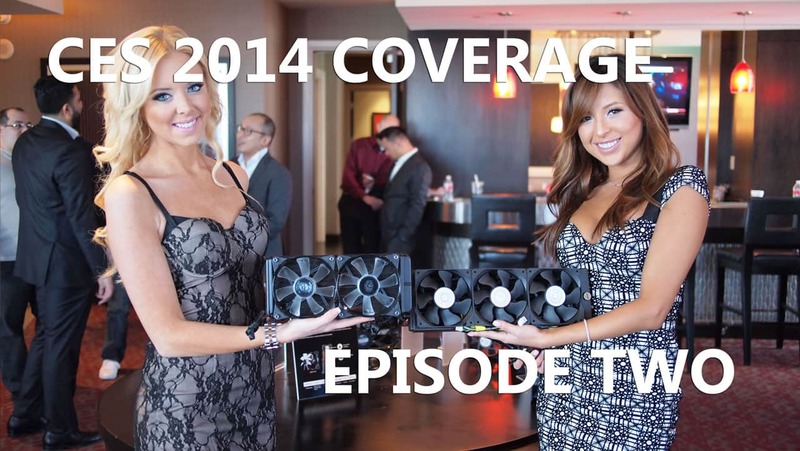 We hope you enjoyed Episode One of our continuing CES 2014 coverage. As promised, here's Episode Two of our continuing video coverage of the show, in glorious HD. And of course, we're only interested in computer stuff, so that's exactly what we found for you at the show. This episode features new products, prototypes, and news from InWin, MSI, Kingston, Rosewill and Cooler Master! Check out the video below for over 34 minutes of PC DIY goodness! If you're having problems viewing the video, you can find it right here on our YouTube Channel. (00:20) - InWin was showing off the new, and very stunning looking, Serenity 900W power supply. This is the company's first 80PLUS Platinum product and it looks absolutely amazing. (01:22) - MSI was showing AMD fans a bit of love with new FM2+ motherboards and a monstrous new Lightning Series R290X GPU that has not one, but two 8 pin power connectors, and a 6 pin, for massive overclocking potential. They also showed off some new mice that enthusiasts have been begging them to make for quite some time now. (05:45) - Kingston Technology was showing off a whole range of products including DDR4 memory (which originally debuted at IDF 2013), new PCIe SSDs plus M.2 products, as well as higher capacities in both mSATA and SSD products. Kingston also showed up a new HyperX branded headset and and a new series of memory modules with an attractive heatsink design. Also featured where Kingston's PnP SODIMM series now hitting the 2400MHz limit in speed. (16:20) - Rosewill continues to provide value and performance with a new Blackhawk II chassis and the launch of the Rise chassis that we saw at COMPUTEX 2013. They also showed off a new mechanical keyboard that doesn't use Cherry MX keys, but feels just as good, in a tenkeyless design. You can find out more about these and other new products in their official press release. (21:25) - Cooler Master continues to announce new products in all categories. First off, they show off some highly anticipated accessories for their HAF Stacker that was announced back at PAX Prime 2013, and show off a new "cubular" chassis that works both as a test bench and as a tower (when flipped on its side). Also interesting was the new Elite 110 enclosure that gets you into mini-ITX in style. There were also new liquid cooling and air cooling products you don't want to miss. That's all for Episode Two of our continuing CES 2014 video coverage. If you haven't already caught Episode one, you can catch it right here. And if you're looking for more "stuff for people who like computers" then you have to stick around for Episode Three coming up very soon. Don't forget to dig in to our CES 2014 News and have a look at what our friends at MEGATechNews have covered on the mobile/gadget side as well.